Since Baby Boomers took a turn from their parents thirst for spirits and embraced fine wine and craft beer, brands at the bar have spent the last two decades trying to rebrand and transform the notion of how hard liquor can be enjoyed by a new generation of serious sippers. Absolut made muddled vodka martini’s a thing, while Scotch brands were keen to educate Millennials on the history and flavour profiles of the world of whisky. Ask someone at your local bar what their favourite gin cocktail is and they’re likely to chirp, the G&T. For those looking to dive head first into the gin craze to realize the spirits full potential on the palate, Ginspiration (DK Publishing, 2018) is a perfect companion featuring information on the best distilleries, infusions, and cocktail recipes. Ginspiration is brought to you by Germany’s celebrated cocktail king Klaus St. Rainer, who also authored one of my fave spirit tomes, Cocktails: The Art of Mixing Perfect Drinks. In Ginspiration St. Rainer explains how premium gin is made and offers insight from profiles of more than 45 gins by distillers from all over the world. 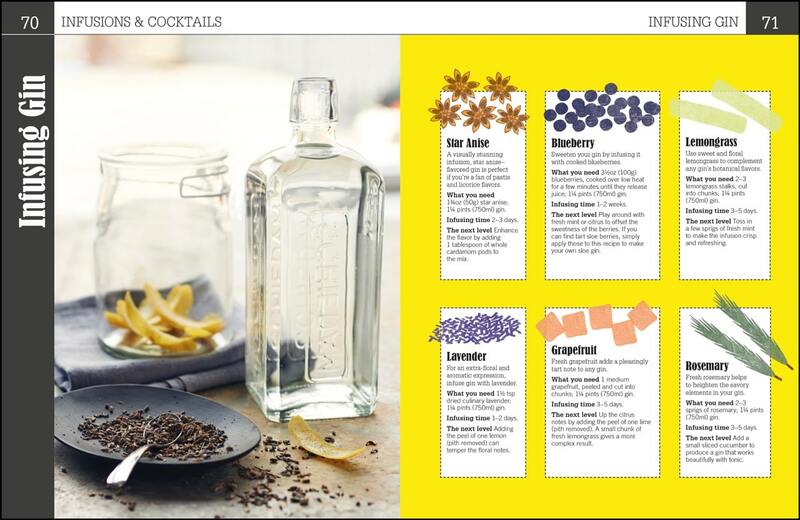 Readers also acquire top tips on how to serve and taste gin, and follow step-by-step instructions to make your very own irresistible infusions at home. Soon you’ll be familiar with botanical flavours and craft ingredients like raspberry syrup, hibiscus sugar, and smoky ice cubes. Once you know your coupe from your collins, you’ll be ready to prepare a wild array of creative cocktail recipes. With a choir of the world’s most distinguished gin bottles at my disposal, I flipped through Ginspiration and found three cocktail recipes which are sure to delight your guests this Spring. 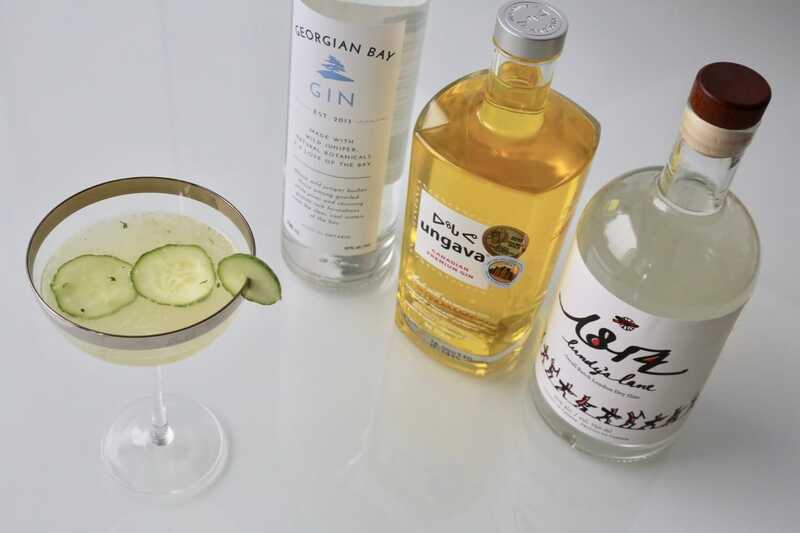 I prepared the Cucumber Mint Gimlet (pg 87) with a selection of Canadian gins to produce a thirst quenching libation that features cucumber, lime and mint. Ungava: Canada’s most unique gin pours yellow, the eye-catching colour is derived from a mix of Arctic sourced botanicals that include cloudberry, labrador tea, and rose hip. Georgian Bay: locally sourced water is used to develop this Canadian gin from the Georgian Bay area. Aromas of juniper, citrus, pine and cinnamon. Lundy’s Lane 1814 Small Batch: produced by Niagara Falls Craft Distillers, this local London style gin is handcrafted in small batches. Featuring 19 unique botanicals including locally grown lavender. I prepared the Gin Sling (pg 93) with a selection of American gins, a multilayered tipple featuring sweet vermouth, lemon, angostura bitters, soda, and luxurious Luxardo cherries. 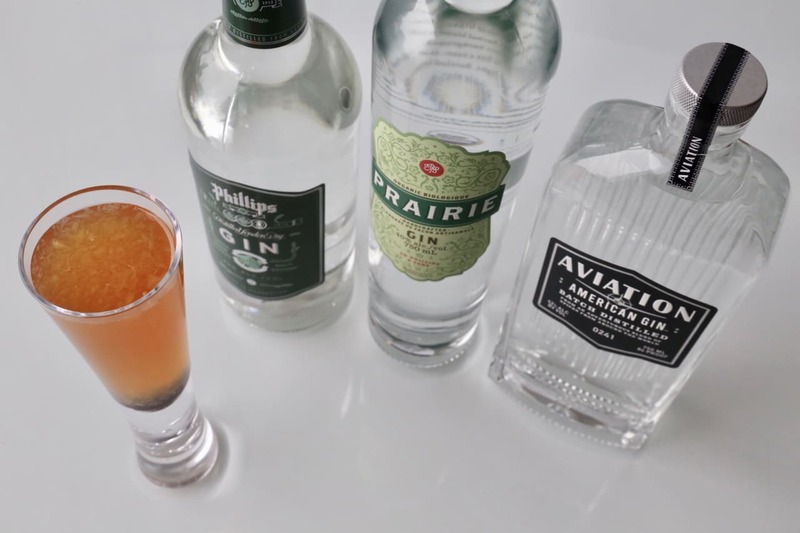 Aviation: this American bottle is produced in Oregon and features bolt and spicy botanicals featuring sarsaparilla, coriander, and cardamom. Prairie Organic: this organic gin produced in Minnesota features 10 botanicals, bursting with sage and angelica root. Hints of melon and pear on the nose, creamy on the palate. Phillips: also from Minnesota, this London Dry Gin which was originally introduced in 1963 features a handful of premium botanicals featuring cassia, coriander and angelica root. 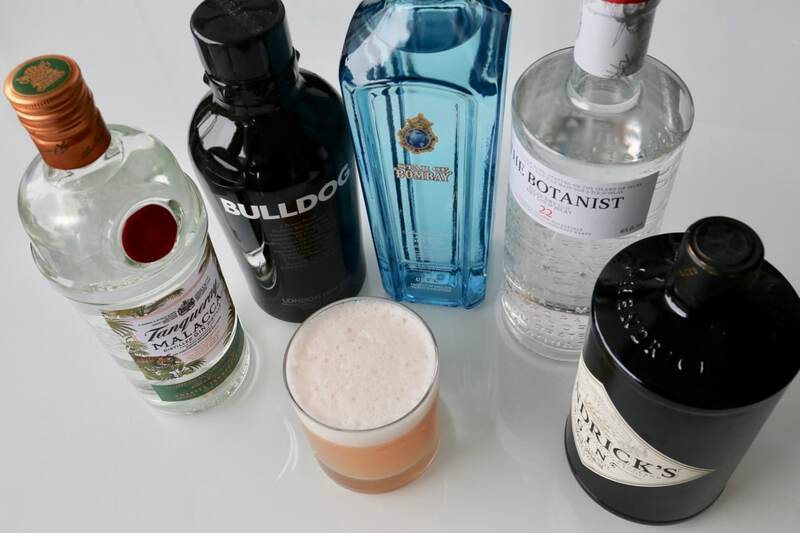 I prepared the French Blonde (my fave gin cocktail) with a selection of British bottles, to create a sweet sipper featuring Lillet Blanc, St. Germain Elderflower Liqueur, grapefruit juice, and egg white. Star of Bombay: the premium expression at Bombay Sapphire Distillery in Hampshire, England offers a combination of 12 botanicals including dried bergamot, orange peel, and ambrette seed. The Botanist: this Scottish gin is produced using 22 local botanicals from the isle of Islay, and features juniper, wild herbs and flowers. Bulldog: this English offering is infused with 12 botanicals and four times distilled in copper pot stills. Hendrick’s: this premium gin from Scotland features 11 botanicals and is infused with Bulgarian Rosa Damascena and specifically selected cucumbers from the finest producers. Tanqueray Malacca: you’ve likely never heard of this bottle until today but over 20 years ago Tanqueray introduced a limited number of bottles to some of the best bartenders in the world. The gin was so popular that it quickly built a cult status with discontinued bottles commanding high prices in online auction houses. The secret gin recipe is now available to the masses featuring the exotic thrill of lime, lavender, and jasmine. 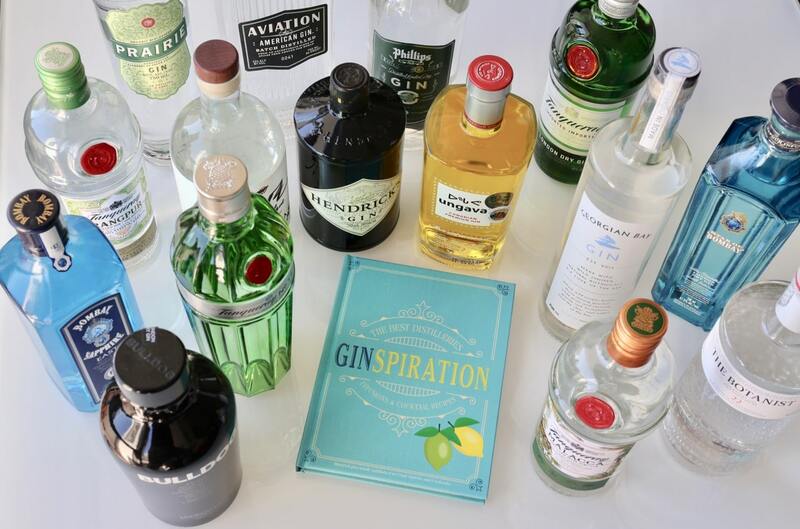 Whether it’s your first time sipping gin or are a tried tested and true aficionado, Ginspiration is the perfect guide for those looking to wholeheartedly appreciate the brilliant botanicals captured in each bottle by master distillers who work their magic on copper and column stills from the rolling hills of rural Scotland to Oregon’s wild west coast.